16 What are the side effects of apple cider vinegar on hair? 22 How do I use apple cider vinegar for my scalp and hair? To discuss the side effects of apple cider vinegar, we will first discuss the benefits of apple cider vinegar and the essential oils which can be used alongside apple cider vinegar. Apple cider vinegar is a really amazing tonic which contains some amazing ingredients which aid digestion, levels of cholesterol and weight loss, these ingredients are called raw enzymes and beneficial bacteria. It is an organic and natural remedy for treating all kinds of hair issues and also skin problems, and one of the good things about Apple cider vinegar is that it works for all skin and hair types. We take time to explain some on the benefits of apple cider vinegar for hair growth. The Apple cider vinegar contains acetic acid with pH levels almost to that of human hair, which is why washing and rinsing hair with Apple cider vinegar helps the scalp and hair regain or meet up with the required acidity (pH levels). Apple cider vinegar can be used in complete cleansing from all the hair products used in the past which has caused hair to become dull and lifeless like. If you want a complete restoration, then a mixture of Apple cider vinegar to wash hair will be an ideal remedy. Just applying and letting it sit for at least 3mins will break up and rinse away of the molecules build up on your scalp. Apple cider vinegar rinses help restore hair natural curls, natural styles, improve individual strands of hair, and safe from damages which may be caused by using chemical prone shampoos and conditioners. Apple cider vinegar rinse helps to smoothen the cuticle and alloying any knots and tangles to slip out. This enables easy glide and movement of the hair, especially when combing of brushing. Apple cider vinegar help hair becomes frizz free, by smoothening down the lifted cuticle caused by frizzy hair. Once you have rinsed your hair with Apple cider vinegar, you will start enjoying a shinning hair, healthy hair, and hair which is friendly with a light shine. High porosity is caused by the use of chemical treatments and the environment which damages the hair by absorbing liquid quickly and losing it instantly. Apple cider vinegar rinse helps to manage hair porosity because you can’t change your hair porosity, and it does this by flattening the cuticle and minimize the gap by allowing all the necessary amounts of moisture to penetrate the outer cuticle and retain the moisture. Apple cider vinegar rinse helps the hair follicles by stimulating blood circulation. When there is a good circulation of blood to the cell follicles, those nutrients which the blood carries helps to strengthen the hair roots and prevents loss, breakage, split ends and also increase the growth of hair. 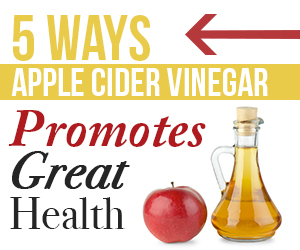 Mix 2-4 tablespoons of apple cider vinegar with 1 cup of water. For dry hair, use 2 tablespoons of apple cider vinegar and 1 cup of water. For oily hair, use 3-4 tablespoons of apple cider vinegar and 1 cup of water. Apply the apple cider vinegar mixture on your scalp and across your entire hair. Massage the scalp which helps to stimulate blood circulation. Rinse yours after 3 mins. Repeat the process once a week, twice a week, or once a month depending on what works for you. Cedarwood or Clary sage for hair growth. Chamomile for hair shine and softness. Rosemary for roots strength, hair growth, and blood circulation. Tea tree oil for oily hair. You may be wondering why washing hair with apple cider vinegar side effects even occurs, or what the side effects of apple cider vinegar are. In a period when it appears as though there is chemical contamination in almost every product we use on our skin and hair, many of us have gone an extra mile to create our own homemade hair and skin products. Looking around at our present time, different articles have presented to the masses the benefits of using apple cider vinegar, making it a viral health benefit product without stressing out any deficiency that may occur from its use. Apple cider vinegar is cheap to buy and also to make, but before you engage your self in a frequent use, you should first of all, know if you have any medical conditions, and your hair type, using it without first knowing these may cause you some irreplicable damages. What are the side effects of apple cider vinegar on hair? An allergic reaction is one of the risks of putting vinegar on your hair, in spite of the fact that vinegar isn’t among the common allergens causing allergic reactions. The human body can develop an unsuspecting allergy to anything, this is why you should know if you have an allergic reaction to vinegar at any point in your life in the past. Do not use apple cider vinegar on your hair if you’ve had a reaction to it once by eating food which contains vinegar. Some of the allergic reactions of washing hair with apple cider vinegar side effects are rashes and trouble breathing. See your doctor if this happens. How To Get Rid Of Frizzy Hair – 5 Ways To Wow Frizzy Hair Fast. Sulfite which is present in vinegar and other tart food, and is naturally occurring chemical compounds which are also found in vinegar. Usually, sulfite prolongs the shelf life of manufactured food and food producers often use it. People who have asthma can have a reaction to the sulfite vinegar, also if you are on steroid medication or have respiratory sensitivity. Another important thing to note is that people who are 50+ of age, also have a higher risk of reactions to sulfite. Among the effects of vinegar, the risk of irritation on the scalp can also occur, not only on the scalp but on the skin also. The scalp skin is very sensitive, this is due to the many blood vessels and nerves which are present in the human head. Even though not everyone experiences this, but if you have any cuts, acne or scrapes on your head, you will experience pains from the acid present in vinegar. You can easily get unsuspected scratches from sandy areas like beaches. As there are benefits of using vinegar to wash hair, so are side effects of hair damage. You can use vinegar mix with water to prevent swimmers ear because vinegar itself is a drying agent. If you have dandruff or hair breakage caused by dry hair scalp, using vinegar which is a drying agent will increase your chances of having more damaged hair. Vinegar can also affect thin fine hair when rinsing with vinegar, but to use vinegar on such hair, I recommend you dilute it and rinse immediately. This organic raw apple cider vinegar is unfiltered, unheated, unpasteurized, and 5 acidities. It prevents dry scalp, dandruff and reduces itching. It also controls the bacteria growth and fungi, treat itchy, dry scalp, and makes hair soft, smooth, and shiny. How do I use apple cider vinegar for my scalp and hair? A step by step guide on how to use apple cider vinegar for my scalp and hair. 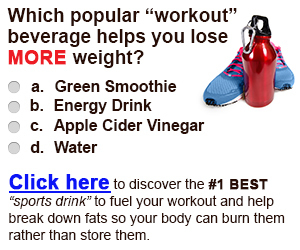 You should mix a part of the apple cider vinegar in water, then shake it properly. After you have shampoo your hair, then apply this mixture. Let the apple cider rest on your hair for a while about 5-10 minutes, then rinse your hair. After you have washed your hair, you should massage your hair with oil (best is soulflower Bhringraj cooling oil) the is to further prevent hair fall, strengthening your hair strands and stop your hair drying. You should apply this oil usually every day at night. Add some 3-4 drops of Soulflower Rosemary Essential Oil to your regular shampoo and mix it to help improve a healthy scalp. The diluted vinegar won’t burn your scalp, but if after you apply the mix you feel any burning or irritation, rinse it off and dilute the vinegar more. The smell of apple cider vinegar will disappear once your wash has been washed and dried, but if the smell is still there, wash it more and dilute it more the next time you want to use it. If you have scalp infections, then use the above organic, unfiltered and unpasteurized vinegar. Oil hair prevents apple cider vinegar from penetrating into the scalp, if you have oily hair, do not apply.